We provide exceptional dental care to all ages & helping our patients with complete dental treatment. Dr. Bains speaks English, Hindi and Punjabi. In addition, members of our staff speak Ukranian and Amhric/Ethiopian. Dr. Bains has been the Managing Doctor at Avenue Dental Care in Edmonds since 2004. Dr. Bains is originally from India, and moved to Seattle in 2004. Dr. Bains Speaks English, Hindi and Punjabi. She is married to Dr. Oneil Bains, a sleep medicine doctor at Virginia Mason Medical Center. They have 2 children, ages 2 and 4. She loves the outdoors and activities such as hiking, biking and kayaking. Julia was born in Ukraine and came to the United States with her family when she was seven years old. She grew up in the beautiful Mukilteo area. For as long as she can remember, her mom has worked in the dental field. Following in her mom’s footsteps, she has now worked in the dental field for about six years. She loves her job, especially interacting with the patients and building friendships with them. When not at work, Julia enjoys spending time with family and friends, loves to drink a lot of coffee and try different types of food. Rada became a licensed dental hygienist in 2004, and received her B.S in dental hygiene in 2006 from Eastern Washington University. Her passion has always been to educate and motivate her patients to make lifestyle choices that lead to better oral and overall health. In her free time, Rada enjoys reading and learning about health and nutrition, exercising, and spending time with her family. 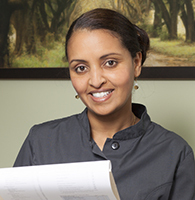 Tegest has been with Avenue Dental Care for seven years. She is very compassionate and caring with her patients. Tegest was born in Ethiopia and moved to Seattle in 1997. She has three beautiful children, one boy and two girls. 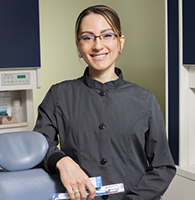 Her love of dentistry has encouraged her to continue her education and become a licensed Expanded Dental Assistant. She enjoys going to church and exercising. She speaks Amhric/Ethiopian. 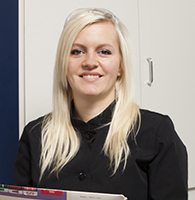 Zhanna has been with Avenue Dental Care for four years. She enjoys working with patients and getting to know them. Zhanna was born in Tbilisi, Georgia and moved the United States when she was very young. She is fluent in both Russian and English. She enjoys spending her free time in the outdoors. Tony grew up in Everett and is currently living in Marysville. He graduated from Everest College with a Dental Assisting Diploma. He has been working as a dental assistant for approximately four years. 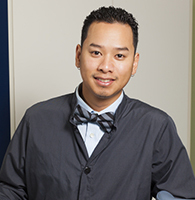 He takes pride in his work and enjoys working with patients and accomplishing their dental needs. Tony enjoys the outdoors, such as fishing, hiking, camping and pretty much anything that involves the wilderness. In his free time, he loves spending time with my family and working out at the gym.